Pencil on paper. 2013. 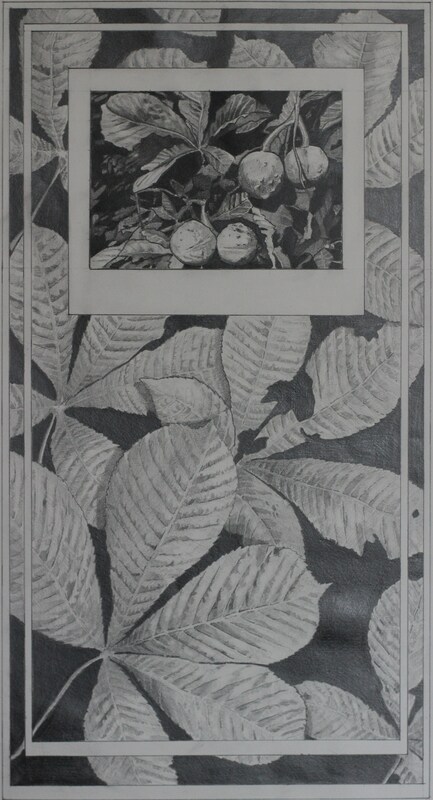 A simple mix of collected leaves drawn life-size from direct observation and an internet sourced image, transferred using the standard grid method.